2 Bedroom Flat For Sale in Greater Manchester for Guide Price £170,000. NQ4 is a purpose built development in the Northern Quarter / Ancoats Manchester. The area is a mix of old and new and was the back bone of the city industrial heritage. 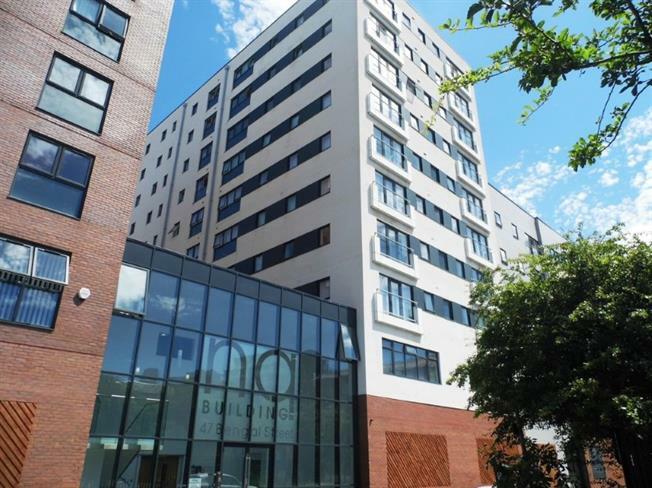 This immaculately presented spacious apartment consists of a hallway with a utility cupboard, living area with a multi appliance fitted kitchen, two great size bedrooms with a fitted bathroom offering a three piece suite in white. Suitable for an investor and currently rented out at 875 per calendar month tenanted until 24 September 2018. Complete with a secure allocated car parking space.